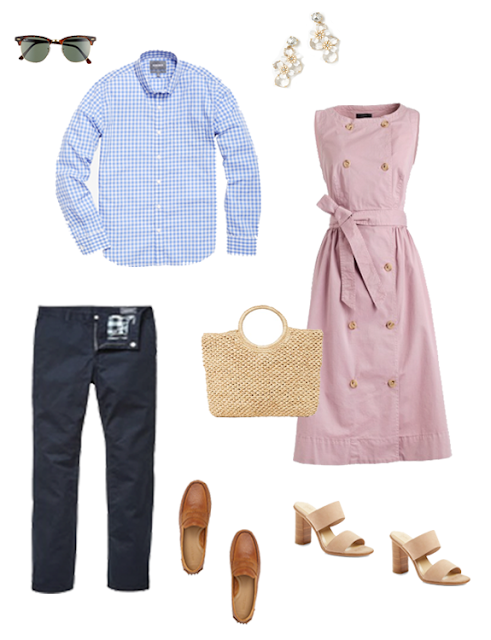 With Spring officially here, it is just about time to start switching out wardrobes for warmer, sunnier days. Nothing makes me happier than swapping out heavy, dark pieces for light, bright, and spring appropriate items! Of course, the New England weather can't seem to get on board with the fact that it is spring, but I am crossing my fingers that warmer days are just around the corner (please!). Despite the rather dreary weather here in Connecticut lately, I have chosen to just dress for the weather I wish we had.. within limits of course. I have pulled out all the bright colors, stripes, white jeans, and pretty flowy blouses. I might not match the weather but that's okay! Despite the weather lagging behind, it is still the time to start thinking of those must have pieces for spring. I've teamed up with Bonobos to highlight my favorite his and hers looks this season, and let me tell you.. everything out there this season is so good. Of course light, bright, and colorful pieces are always trending come spring, and this season is no exception! For guys, light fabrics and layers are ideal for creating the perfect spring look. A summer weight shirt is a classic and you can't go wrong with the comfort and style of washed chino shorts and pants! It's the perfect place to start when crafting that springtime look. And for my girls out there, can you say bright colors and patterns, white jeans, and feminine dresses. I am so excited. Bell sleeve tops are very in this season and I cannot get enough. This pink stripe bell sleeve top is just darling and looks even cuter on! 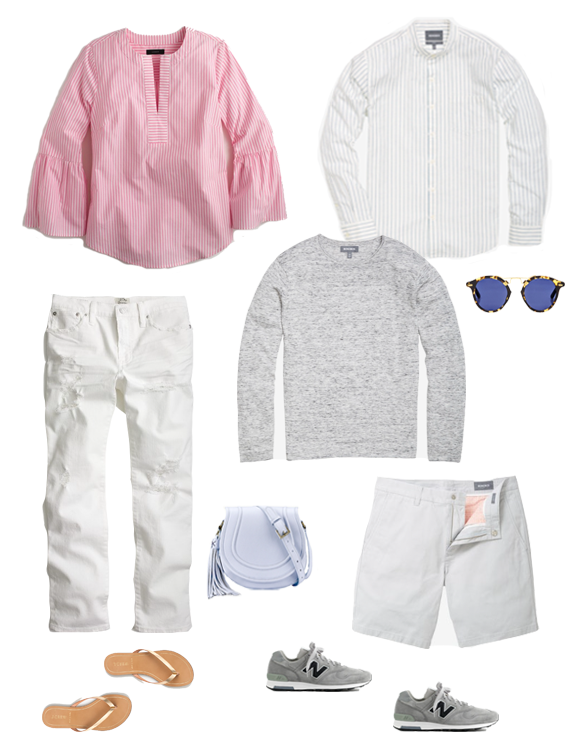 I crafted a few different looks below for you to draw inspiration from for this spring season. 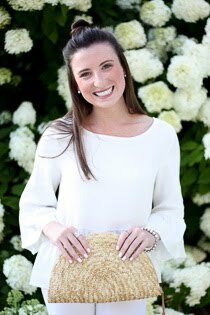 I tried to incorporate a little bit of everything to help get your spring wardrobe off to a good start! Check them out below, enjoy, and as always, happy shopping! Thank you to Bonobos for collaborating in this post! All my guys out there - be sure to head to their website to check out even more. Trust me, you don't want to miss it!